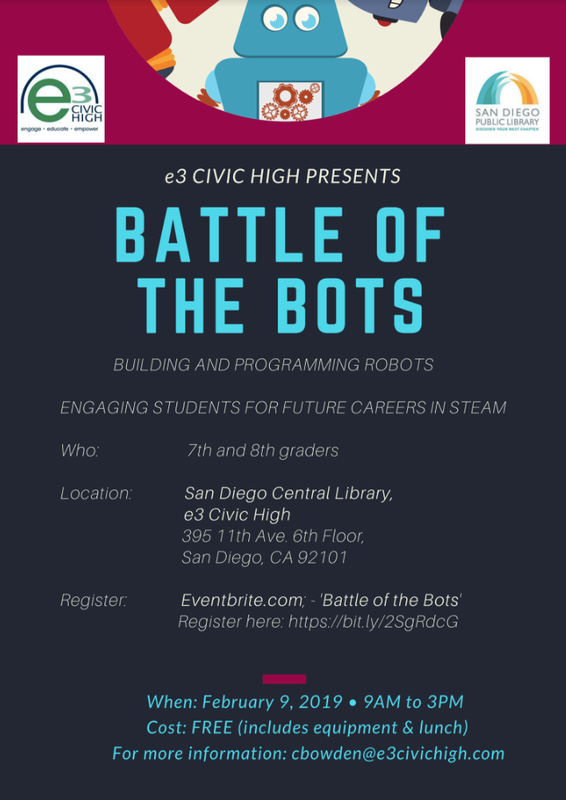 e3 Civic High received a grant to fund a community wide Robotics camp for middle schoolers grades 7 and 8. Priority. Register at Eventbrite for this day of fun. The event runs from 9:00 am to 3:00 pm. Attendees will receive an Arduino Board and lunch. Its FREE! !